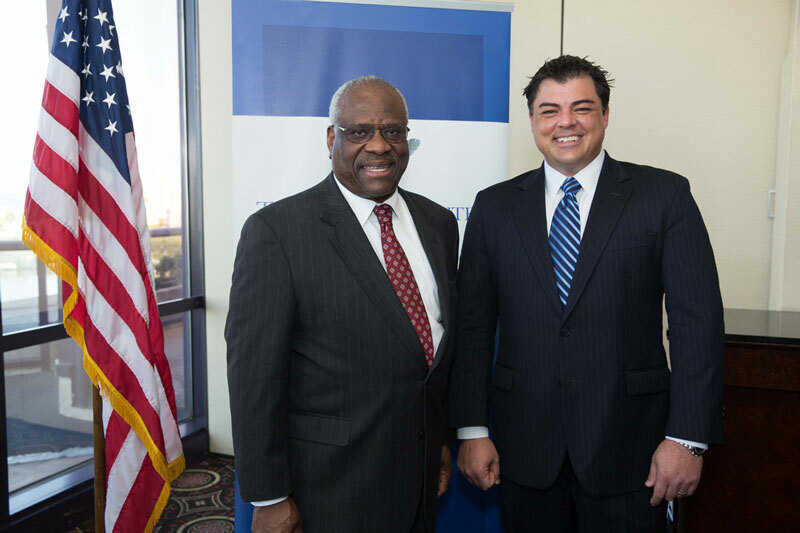 Founding Partner, Patrick Whitehead meets with U.S. Supreme Court Justice Clarence Thomas at Palm Beach Atlantic University in February 2014. Justice Thomas spoke about life lessons and shared personal stories regarding his path to the attendees. Patrick Whitehead is general counsel to Palm Beach Atlantic University. Read more about the visit at the PBA website here.